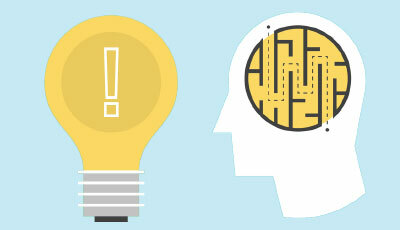 In today’s world, it is important for a business to understand a large amount of data. Using spreadsheets is not the best option for business these days. here we will discuss the more about the R Programming language. R is an open source programming language as well as a software environment used for statistical analysis, graphical representation, and reporting. It was created by Ross Ihaka and Robert Gentleman. It is considered as a dialect of the S language. It is used widely by scientists across the world. 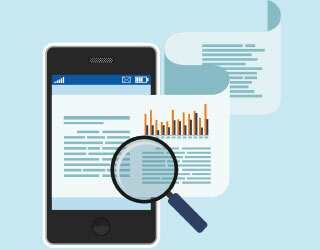 It makes it easy to analyze the data more effectively and efficiently. 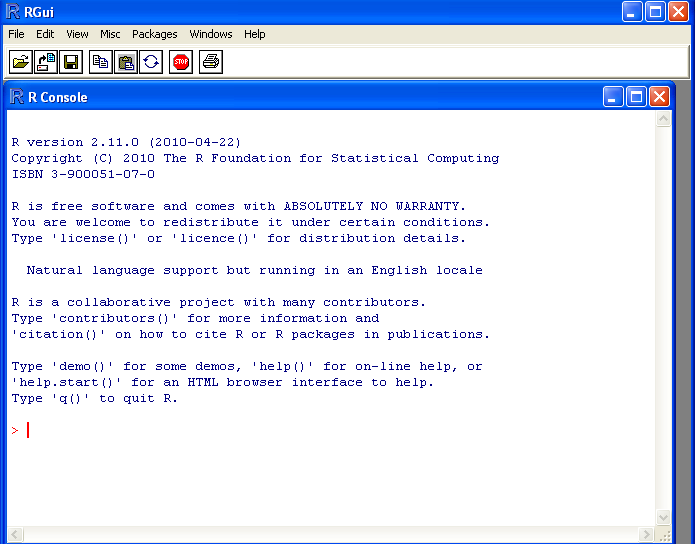 R programming language is freely distributed under the GNU General Public Licence. It works in several operating systems like Unix, Linux, Windows, and Mac. 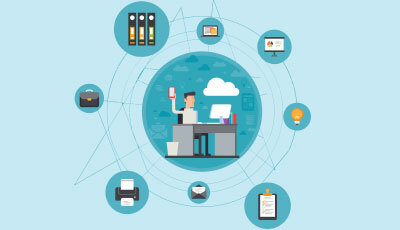 The files which are needed to install R from the pre-compiled binary versions are distributed from the internet site of the Comprehensive R Archive Network (CRAN). 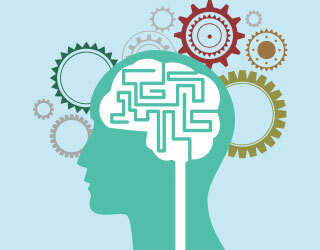 R programming language has many functions for statistical analysis and graphical representations. R is free and is the first major advantage. 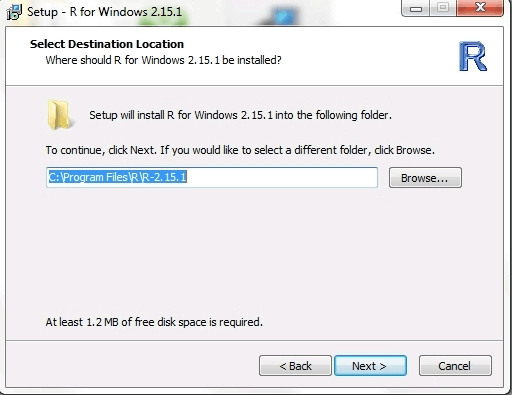 Follow these simple steps to install R on your computer. 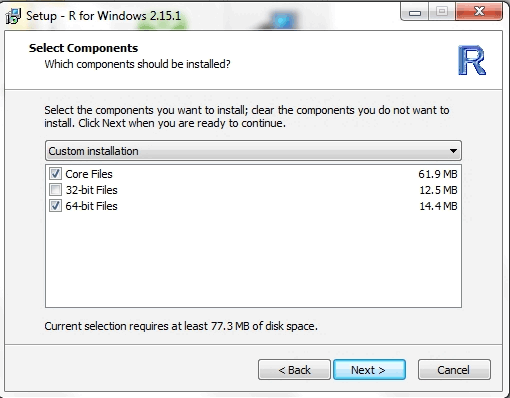 Download the R from the net and open the R file in the downloads folder. Double-click the file to open it. This will take you to a security warning window. Click Run. 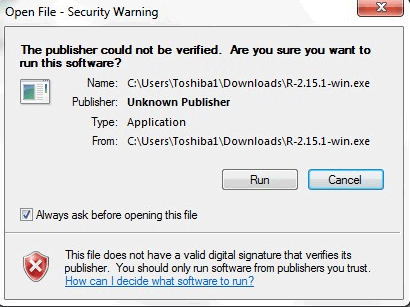 This will again take you to a window asking whether you want to allow the following program from an Unknown publisher to make changes to this computer window. Click Yes. The next window will allow you to select the language. Select the language and click Ok. This opens the Setup Wizard window. Click Next. 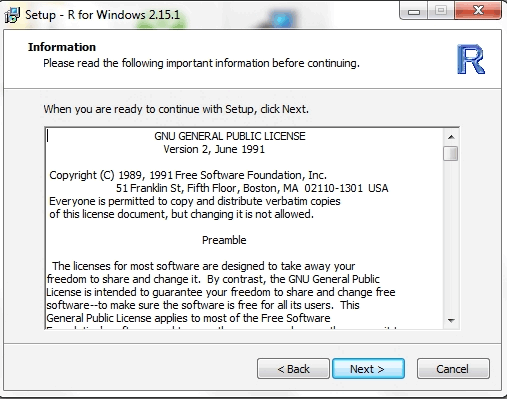 After this, you will get the GNU General Public Licence. Read it and click Next. In the next window select the destination location. 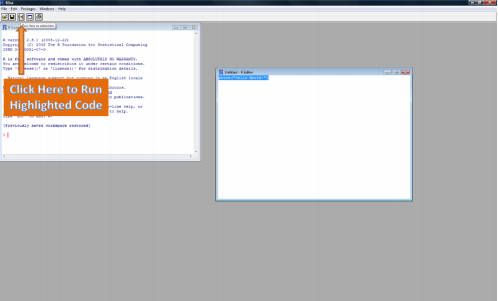 The default location is Program Files. Select and Click Next. 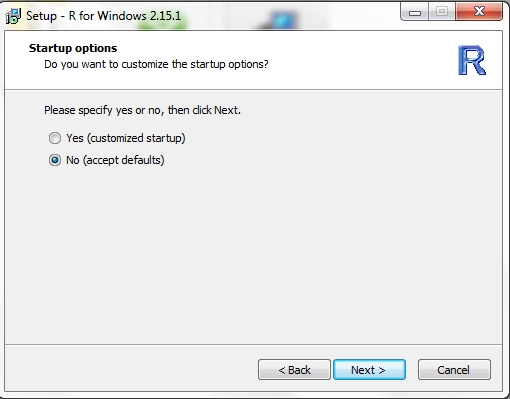 The next window will ask if you want to customize the startup options. Select No and click Next. 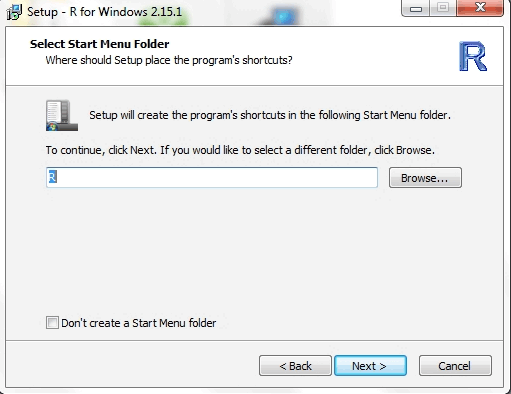 The next window will help you to select a Start Menu Folder. Click Next. 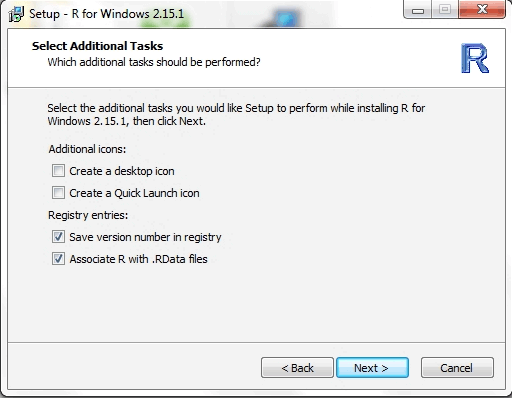 The next window allows you to select Additional tasks and lets you to create a desktop icon or a Quick launch icon. Select both the check boxes of Register entries. Select Next. 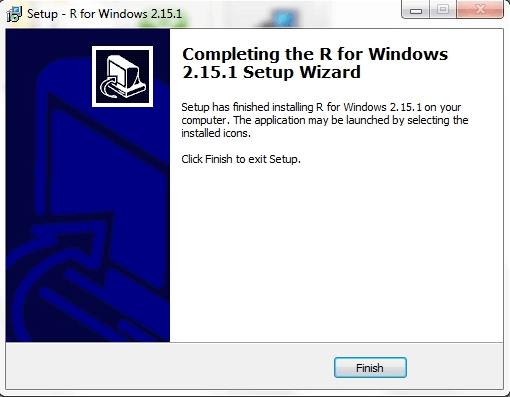 R will get installed. Select the Finish button to complete the installation. 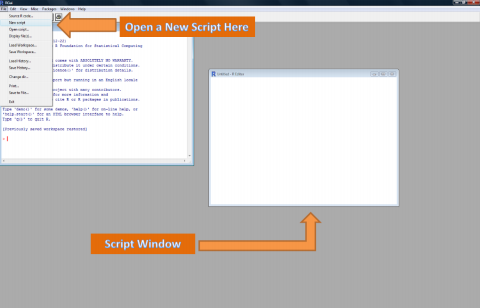 To run the commands in the script you can either copy paste the commands into the command window or select the commands you want to run and click the Run line or Selection button. While typing commands in the Console you can also use previously used commands using Up arrow or Down arrow. The arguments can be objects which are defined by default or specified by the user. 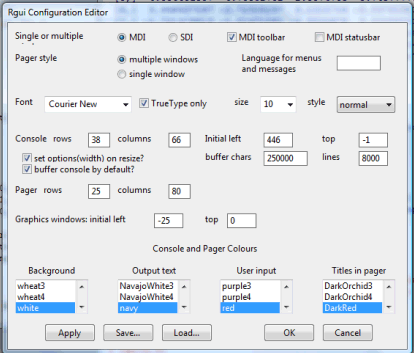 The functions are executed through commands entered by the user. The results are then displayed on the screen and stored as an object in computer memory. 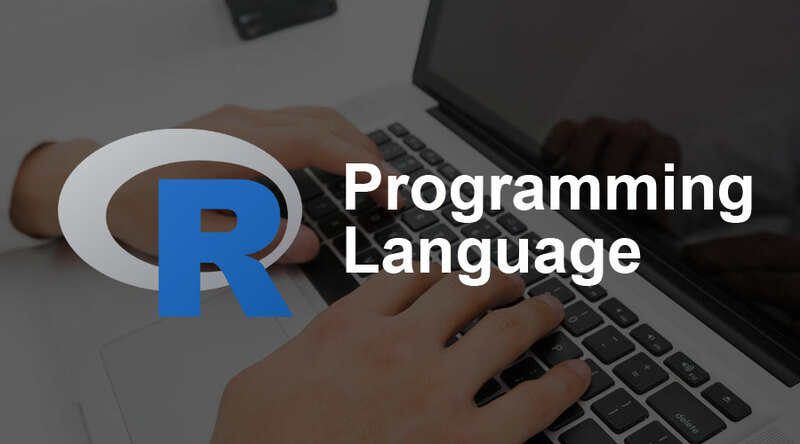 here are the basics of the R programming language that you need to know to work with R.
Whenever you want to interact with R you can type a command in the console dialogue box and press enter. If you have entered any wrong command then you will get an error message. You can make simple calculation easily using R. You can use all the arithmetic operators in the same way as used in the other computer application without the need not type equals sign. Just press enter and you will get the output. In the above examples, you can find  in front of all the answers. This denoted that there is only one number in the answer. When there is more than one number in the answer it will help you find out the answer within the groups. And if a bracket is added then those calculations are done first. If more than one bracket is added, you can group your brackets using Ad Infinitum. In this example <- is called the allocation symbol or the assigned symbol. This symbol asks R to make the object on the left into the output of the command on the right. You can also save the results of a calculation made with objects as another object. You can remove an object using rm() function and confirm it using ls() function. R has a large variety of code that will help you to do mathematical calculations, draw a graph and do statistical analysis. These codes are called functions. Each function name ends in a pair of brackets and you can also straight away type the name of the function and the name of the object to carry out the operation you need. R is the best solution to handle objects that are the group of numbers or groups of characters. Groups of a number which are organized as sequences are called Vectors. Groups which are organized as two-dimensional tables are called Matrices. Tables that contain a number in some columns and some other data in other columns are called Data Frames. You can also perform arithmetic operations in a vector. When you have data that can be arranged in two dimensions then that is called Matrix. Matrix is denoted by matrix() function. dimnames = list (c(“Row 1”, “Row 2”, “Row 3”), c(“Col 1”, “Col 2”, “Col 3”, “Col 4”) provides the names for the rows and columns. Data are always recorded as numbers or quantitative data. Numeric objects can further be divided into real numbers, complex numbers or integers and so on. In case you wanted to find out whether the vector you use is in numeric form then you can use the function mode() and know the type of numeric you can use the function class(). There is a special type of data in R which is called a Factor. This type of data is where things are divided into classes. You can find the individual number or groups within the data structure using subscripts. It will be very much useful. In this example, a vector is created in the name X which is made up of 10 random numbers derived from a normal distribution with mean value being 2 and standard deviation 0.1. Subscripts do not necessarily have to be single numbers. It can be an object or even a function. Logical expressions can also be included in the subscript. A subset is a function which is used to derive part of a matrix or data frame. It has three main sections – first the name of the subset, second a logical expression, third which informs R about which columns to choose. This will give you the output of whose weight is less than 70. You can use the installed. packages() function to know more about the installed packages. The bottom line is that R programming language helps researchers as well as business people to perform effective data analysis. R packages make it easy for businesses to do the analysis. They do not require computer programmers nor extensive programming to use R. R Programming language helps to create graphics in a more appealing way. 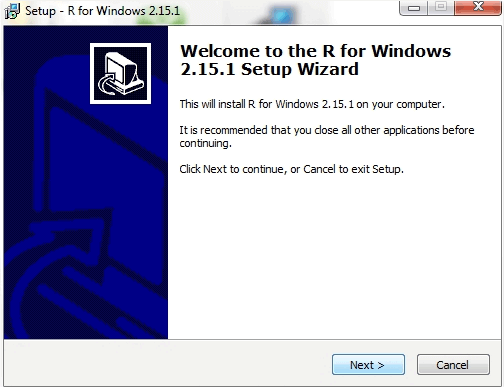 Here is your guide to understanding the installation, getting started, benefits, basic commands and functions of R Programming Language.